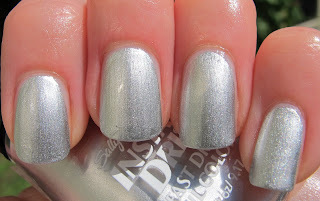 Never Enough Nails: One-Coater Alert: Sally Hansen Insta Dri in Silver Sweep! This is a great silver nailpolish! 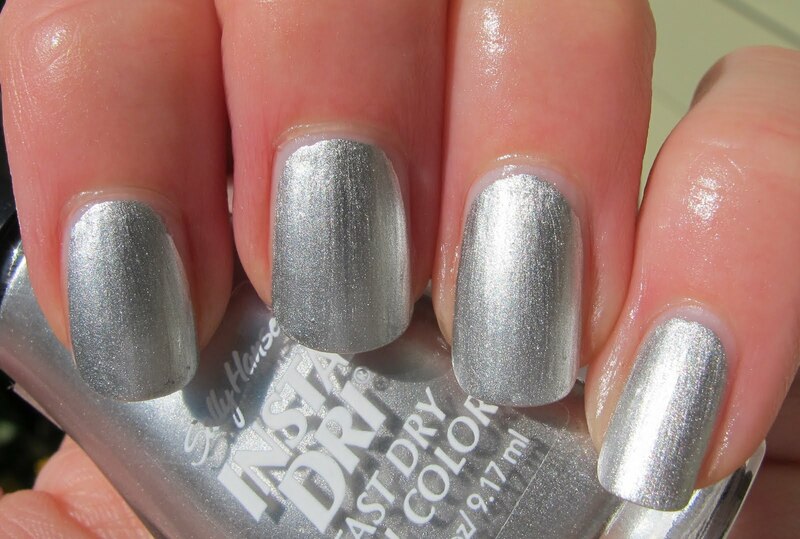 Too bad they don't sell Sally Hansen in the netherlands. I hope that Irene don't cause too much trouble for everyone in that area. Wish you the best and I wait for your next post. That's too bad they don't have Sally Hansen in the Netherlands, Melanie! Irene was downgraded to a category 1 so hopefully we'll be OK! 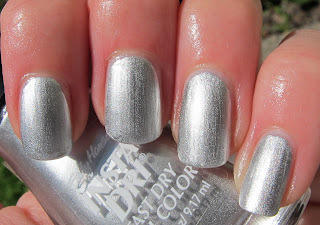 Rockisnext- I'll have to try stamping over this one, it would be perfect! 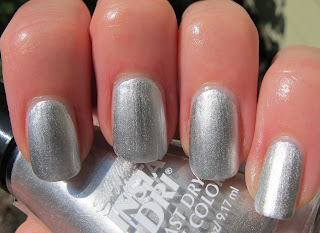 Cami- the Insta Dri polishes tend to last about 5 days for me, which is pretty decent wear for me personally. I use a Sally Hansen base coat with them and CND top coat. I've been really impressed with all of the Insta-Dris I have. I hate hate hate hate hate the giant brush but the formula and opacity on them is so great. I'm getting used to the giant brush Madeline. But, yeah at first I hated it! Great polish tho! Rock-or-not- it is, I love it! !